After your take picutre or video for confirmation the issue is couldn't Resolution. 6. What about Detaik Technology9 Detaik is the a manufactuer for touch Monitors. Thanks for your reading, If have any interesting in our Special Offer POS! 1.within one month u get goods, if any problems, we help u find out the problems, and send u parts freely for replacment. Hope to establishe long-term win-win cooperation with you. If you have any problems, feel free to contact us. , Ltd is the Touch Screen, Monitor, Touch screen monitor, Touch POS Terminal All in one PC manufacturer. We have the factory, We are the Touch Screen, Touch Screen POS terminal Manufacturer. 4, About the Our Touch Screen Pos Terminal Warranty: We have 1 year warranty for our Touch Screeen POS Terminal. 3, DDR3L memory chip, the performance improved to more than double its original one, to get rid of the awkwardness of insufficient memory. 7, Very fast read/write speed and long service life with solid state drive. We have proceeded aging test before shipping and we guarantee to use our products safety. 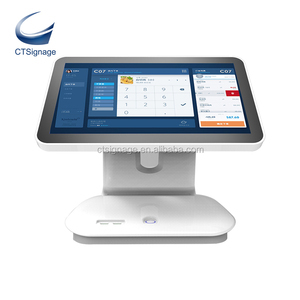 all in one touch screen pos,all in one pos, touch screen pos Contact us for discount ,CLICK NOW! 2, Q:Whether the price reasonable9 A: With factory, we promise to provide reasonable and cost-effective price. 3, Q: What about minimum order quantity9 A: We have no limit for MOQ, so you can even buy only 1 piece. Shenzhen Cloud Embedded Technology Co., Ltd.
Guangzhou Taiyun Tech Co., Ltd.
Dongguan Haxun Technology Co., Ltd.
Packaging & Shipping 1,Packaging details: Normal package use carton( Pearl cotton inside). 2,Shippingand delivery: U sually use DHL,FEDEX,TNT,UPS,EMS Express for shipme nt. 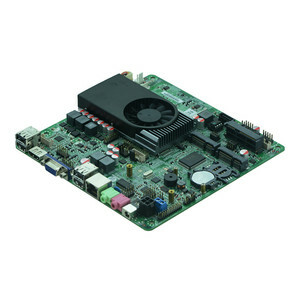 1, Sample available 2,ODM: design and produce hardware. Alibaba.com offers 2,400 i3 i5 i7 pos products. About 73% of these are pos systems, 7% are touch screen monitors. A wide variety of i3 i5 i7 pos options are available to you, such as paid samples, free samples. There are 2,457 i3 i5 i7 pos suppliers, mainly located in Asia. The top supplying countries are China (Mainland), Taiwan, and Hong Kong, which supply 96%, 3%, and 1% of i3 i5 i7 pos respectively. I3 i5 i7 pos products are most popular in Western Europe, North America, and Domestic Market. You can ensure product safety by selecting from certified suppliers, including 957 with ISO9001, 669 with Other, and 643 with ISO14001 certification.